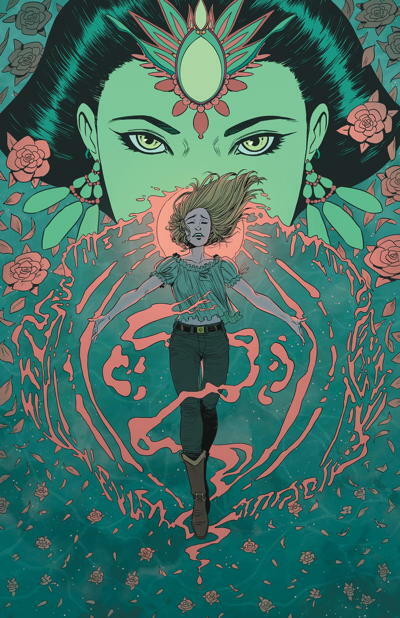 As revealed at the “Berger Books: The Second Wave” panel at New York Comic Con, The Girl in the Bay is the latest addition to the critically acclaimed Berger Books imprint at Dark Horse Comics. Eisner Award-winning writer J.M. DeMatteis (Brooklyn Dreams, Seekers into the Mystery, Impossible, Incorporated) and acclaimed artist Corin Howell (Transformers Windblade, The Mighty Zodiac, Ghostbusters: Answer the Call) unite to tell this haunting coming-of-age tale about misbegotten youth, “what could have been,” and the ultimate sacrifice. Next Dynamite Signs Ron Marz For Return of Turok!